We are bombarded with information all the time with news, media and friends informing us on ingredients to avoid. 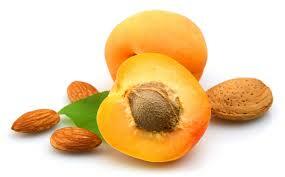 Plus our own personal unexplained skin irritations, inflammation or damage. Just as you think you might have cracked it, more cautions are advised. How do we really know and where do you start as a consumer? The first step is understanding the ingredient list, which can be quite a task all of its own. Standing in the shop, reading the label, its either a long & unpronounceable name, in Latin or more often than not you’ve never heard of it. Unless you studied science its all a whole new language! Read from the top to the bottom of the label. Ingredients are listed with the first five being the highest quantities. If you are aware of an ingredient that you personally can’t use or you are wary of an irritant and it is placed in the top half, then avoid this product. Getting to know your ingredients. If you suffer with sensitive skin, allergies or you are concerned with side effects of certain ingredients a good place to start is looking at the cosmetic safety database and Wikipedia. Start building your knowledge on basic ingredients and their levels of toxicity. Be aware though, some may have no scientific recorded as of yet, so these will be marked with a ‘0’ on the database which is classified as the least harmful. Its important to know his may not be the case, hence researching elsewhere. Concentration is not considered, therefore it may not be an irritant at low levels such as 0.1%, but applied at 100% it could be very harmful. Some ingredients have the same name between naturally derived and synthetically produced versions, be aware it may still irritate your skin as these are very different. You may have a reaction to any product and it could become stressful with so many opinions out there. If an ingredient has been known to cause an irritation and if it’s used in trace amounts such as some preservatives, it would require a higher concentration before it reached your blood stream and became a problem. Fragrances – or Parfum, this term can interpret artificial fragrance which is a major irritant, high dosage of natural essential oils can also be an irritant to some. Lemongrass being one of the most provoking, even at low concentrations. Emollients and emulsifying agents – Mineral oil, vegetable oil and petrochemical derived ingredients such as butylene glycol, capric/caprylic triglyceride, ceteareth-20, fatty alcohols (e.g.cetearyl alcohol, cetyl alcohol, coconut fatty acids, silicones (e.g. cyclomethicone, dimethicone, cyclopentasiloxane), emulsifying wax, petroleum jelly, fatty acids, glyceryl stearate, hydrogenated oils, isopropyl myristate, jojoba butter (hydrogenated jojoba oil), mineral oil, octyl palmitate, paraffin, squalene (as oppose to squalane which is a naturally derived hydrating product) and stearic acid. Instead look for natural emollients such as Rose hip seed oil, jojoba oil, sunflower oil, olive oil, hazelnut oil, avocado oil, safflower oil, wheat germ oil and apricot kernel oil. A reference states the facts and trusting your brand is key! Published scientific research should be available to back up evidence. Last but by no means least, the INCI list. 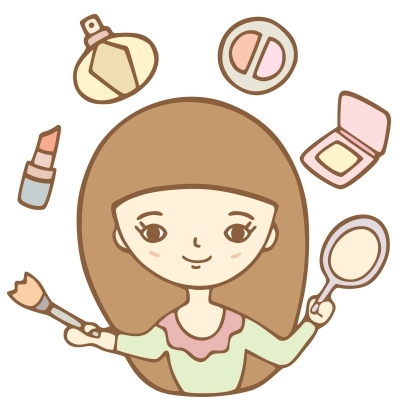 This is the official directory for cosmetic ingredients. All ingredients must be submitted for registration on the system under the same name to make them legal. Another confidence builder is always that they are not tested on animals for cosmetic research, so this will put your mind to rest as to whether this is a concern. The INCI list can be viewed at http://www.makingcosmetics.com/INCI-63.html to help you understand the ingredient names and functions.